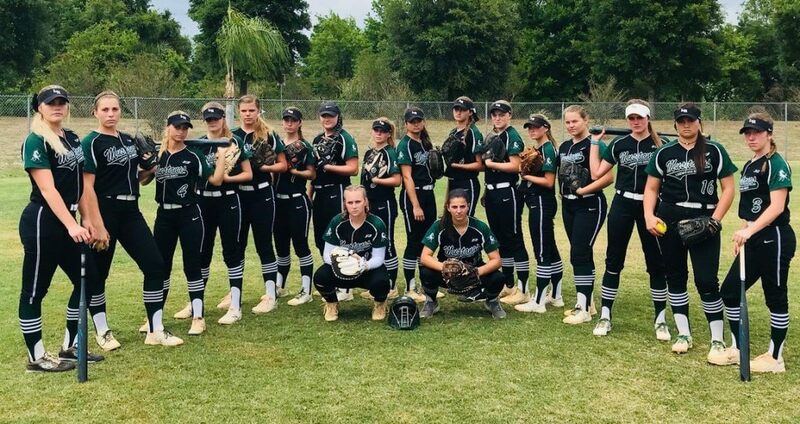 #2 Lakewood Ranch High from Bradenton, Florida is undefeated and faces a big contest this week against Bartow High. There was almost a major shakeup in this week’s rankings in the championship game played last week at the annual Michelle Carew Classic in Southern California. It’s uncertain whether national No. 1 Norco would have dropped from No. 1 in California had it lost in that contest to Lutheran of Orange, but the Cougars definitely would have fallen from No. 1 in the nation (likely behind the top-ranked unbeaten teams from Florida and Texas) and they found themselves behind Orange Lutheran 6-0 heading into the fifth inning. 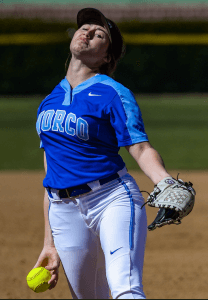 Norco responded with five runs in the bottom of that inning, with the final two coming on a two-run single by Hannah Doi, and then took a 7-6 lead in the sixth on a two-run homer by Sarah Willis. Stevie Hansen then completed a streak of 5 ⅔ scoreless innings of pitching as the Cougars held on for a 7-6 victory. Lakewood Ranch of Florida has been sitting in the No. 2 position for several weeks and won two more times to get to 14-0. The monster game coming up for the Mustangs, however, will be Saturday in Gainesville against No. 6 Oakleaf. The Knights won three games at the Kissimmee Klassic, but still need to play Bartow for the championship due to weather delays. Both teams are loaded with D1 college-bound players and have been no lower than No. 1 in the Extra Elite Eighty since the preseason. Cedar Ridge of Texas remained in the No. 3 position this week while No. 4 Foothill of Pleasanton (Calif.) strengthened its resume by winning the 25th annual Livermore Stampede tournament. Oklahoma-bound Nicole May pitched back-to-back shutouts in the final two games, including 13 strikeouts in the 1-0 championship victory vs. Sheldon (Sacramento, Calif.). Orange Lutheran almost beating Norco and reaching the title game of the Carew Classic pushed the Lancers back up into this week’s rankings at No. 24. They had dropped last week after losing a Tuesday game to league rival Mater Dei (Santa Ana), but since then Mater Dei (which isn’t ranked with eight losses) has taken the lead in Trinity League standings. In another Tuesday result from that league that impacted this week’s Extra Elite Eighty, Mater Dei defeated previous No. 12 Santa Margarita. It was just the second loss of the season overall for the Eagles. It looks like Michigan and New York were still states in which teams still hadn’t played yet coming into this week. Those teams continue to be ranked in the same spots they were placed in the preseason. Teams from other so-called cold weather states also began to emerge as more games were played. One such team was Immaculate Heart of New Jersey, which knocked off previous No. 31 Donovan Catholic (Toms River, N.J.).